Esoteric School of Shamanism and Magic Blog: Magical Knowledge: Get Your Piece of the Pie! How Can You Get Your Piece of the Magical Pie? 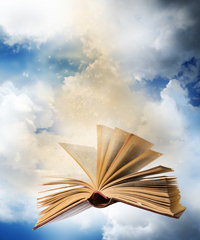 Did you know that knowledge, especially magical knowledge, is actually a material substance? Contrary to popular opinion, knowledge is not a concept or idea but actually a thing. At any given time on this planet there is a limited amount of knowledge, and the more knowledge you have the more useful it becomes. The accumulation of magical knowledge allows people (that’s you!) to live in the miraculous. For instance, yogis, monks, fakirs, and certain teachers and ascended beings have spent decades carefully accumulating their store of knowledge. This knowledge gives them penetrating insight into the drivers in this world, as well as the ability to perform apparently miraculous deeds such as walking through walls. Doesn’t that quote resemble our current planetary situation? During these times it is the work of esoteric and mystery schools to carefully collect the knowledge that is released and making it available to those who desire it. Ready to step off the wheel of pain and struggle? Want to take a break from recession, war, and madness? Start accumulating your knowledge - check out the Basic Magic Course to see if it’s right for you. A strong community of like-minded people ready to accept and use the ancient knowledge of this planet is waiting online for you.